Much of the tremendous growth experienced over the last decade has been a result of families stepping forward to invest in High Point University’s mission. Many families continue to make charitable gifts after their students graduate. We hope that we can call on you to lead the charge as we launch our Forever Families program. Forever Families desire to partner with HPU in helping future students experience the University’s deep commitment to providing an extraordinary education. 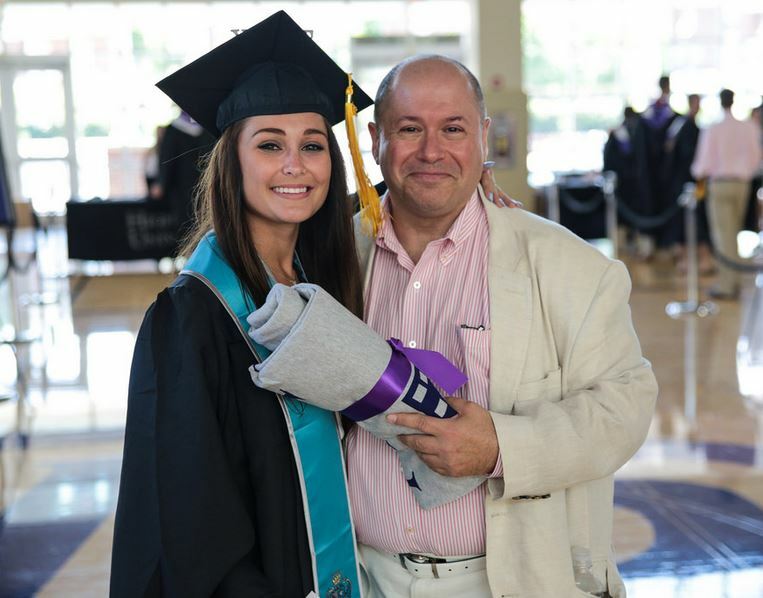 Forever Families also encourage their graduates to remain involved with their alma mater, and to take advantage of the many benefits offered to HPU alumni. We value all that you and your family have done for High Point University and wish to continue forging our lifelong relationship. As a Forever Family investor at the President's Leadership Cabinet or Parents Council level, you will receive special invitations for events on campus throughout the year including Family Weekend and Homecoming Weekends. If you would like to discuss legacy gifts, endowed funds or naming opportunities that honor your family’s commitment to HPU, please contact Erica N. Burroughs, Director of Family Engagement, at (336) 596-2778 or eburroughs@highpoint.edu. Additional information about these opportunities may be found online at engage.highpoint.edu/leave-your-mark. There are severals levels at which you can invest to become a Forever Family. President's Leadership Cabinet: Those who invest at $10,000 or above. Parents Council: Those who invest between $1,924 to $9,999. Family Giving: Those who invest between $1.00 and $1,923. P.S. – Please help us stay in touch with our young alumni! Encourage your graduate to provide updated contact information, share exciting life events, and make an annual gift at engage.highpoint.edu/alumni.